Uttar Pradesh (UP) GK Question in Hindi Sample Paper 5: Uttar Pradesh (UP) General Knowledge Sample Question Paper with Collection of 10 Quiz from Uttar Pradesh (UP) GK. 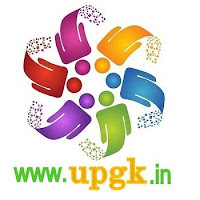 Uttar Pradesh (UP) General Knowledge (GK) and General Studies (GS) Questions from various examinations like UPPSC, UPSC, UP Police, Teachers, Patwari and other exam of Uttar Pradesh (UP) Govt. and central Govt. Here is collection of Uttar Pradesh (UP) GK Quiz in PDF Format for free download on Best website for Uttar Pradesh (UP) GK in India. Candidates ca download Uttar Pradesh (UP) GK Sample paper in PDF Format for free from below website link. Q.1. Govt. cancelled the registration of which NGO under the Foreign Contribution Regulation Act (FCRA) recently ? Q.2. In which of the following years was NOIDA set up? Q.3. In which of the following region is the Bhotia tribe found in Uttar Pradesh? Q.4. OGNC has brought 15% stake Rosneft for $1.35 billion in which country ? Q.5. In which of the following districts is Ayodhya, the birth place of Ram situated ? Q.6. SAARC countries conference South Asian Annual Disaster Management Exercise (SAADMEx) on Disaster Mitigation held at ? Q.7. Where is the National Sugar Research Institute situated? Q.8. PM Narendra Modi on 4 September released two commemorative coins of 125 rupees and 10 rupees in the memory of ................... ? Q.9. How was Uttar Pradesh formerly known? Q.10. When was Agra Presidency separated from Bengal Presidency?